Telephone users in twelve (12) states can register their residential telephones on their state do not call list in addition to the National Do Not Call List which is available to residents in all fifty (50) states and the District of Columbia. Many consumers misunderstand what the do not call lists can and cannot do to protect their privacy and, therefore, miss other opportunities to protect their privacy rights from telemarketers, debt collectors, and other companies who robodial their phones. This article discusses : (1) what types of calls do the do not call lists (federal and state) typically cover and do not cover; (2) how to add your residential telephone numbers to the do not call lists; (3) the benefits and limitations of the states’ do not call lists; (4) whether you may want to pursue a private TCPA lawsuit on your own behalf rather than file a do not call complaint with a state or federal agency; and (5) how to report do not call list violations to the FTC and any state agencies that also accept such complaints. This article includes two interactive maps which contain links to assist people who wish : (1) to register their telephone numbers on the state and national do not call lists; and, if appropriate, (2) to report do not call violations to their state authorities who are responsible for investigating do not call list complaints if any such agency exists in the state. Residents of all fifty (50) states who seek to combat unwelcome telemarketing calls may add their residential telephone numbers to the National Do Not Call List to receive the protections afforded by the Do Not Call provisions of the Telephone Consumer Protection Act of 1991 (“TCPA”). Forty-four (44) states also have do not call lists. Thirty-two (32) of these states have adopted the National Do Not Call List as their own. The remaining 12 of these 44 states also maintain a state do not call list and residents of these states may want to register their residential telephone numbers on their state’s list in addition to the federal list. 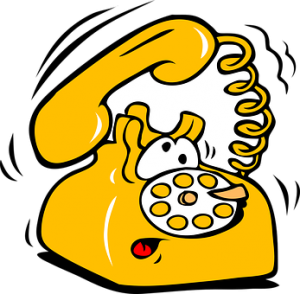 WHAT TYPES OF CALLS DO THE DO NOT CALL LISTS PROHIBIT? WHAT TYPES OF CALLS ARE ALLOWED? The federal and state do not call lists protect only residential phones — phones for personal use. (The only exception is a Texas law that allows businesses to register with the Texas Utility Commission’s limited purpose do not call list so the business can prevent calls soliciting the recipient to change their electricity service to the electric provider that the caller represents.) In contrast, the cell phone provisions of the TCPA protect business phones as well as cell phones from robocalls. The National Do Not Call List does not prohibit certain types of calls. Most state do not call lists parrot the federal constitutional, statutory, and administratively created exemptions. The National Do Not Call List prohibits only certain telephone solicitation calls. Calls made for purposes other than to sell or promote a product, service or property which the caller offers for sale are not “solicitations”. IS ANYONE CALLING YOU ABOUT A FRIEND OR RELATIVE ? IS ANYONE CALLING YOU ABOUT SOMEONE YOU DO NOT EVEN KNOW? IS ANYONE CALLING YOU ABOUT YOUR (OR YOUR SPOUSE'S) DEBT? Some types of solicitations are not covered by do not call lists. For example, the National Do Not Call List does not prohibit bona fide tax exempt charities from calling even if they are soliciting donations. But, even tax exempt charities must stop calling you if you request to be removed from their call list. Similarly, calls from candidates for office are exempt. Forty-four (44) states have do not call laws which prohibit telemarketing calls to residential numbers registered on a do not call list. Unfortunately, only six (6) of these states’ laws allow phone users to sue the caller and recover statutory damages and attorney’s fees. Thirty-two (32) states have adopted the National Do Not Call List since the Federal Trade Commission (“FTC”) formed the National Do Not Call Registry in 2003. These states are Alabama, Alaska, Arizona, Arkansas, California, Connecticut, Georgia, Hawaii, Idaho, Illinois, Kansas, Kentucky, Maine, Maryland, Michigan, Minnesota, Montana, Nevada, New Hampshire, New Jersey, New Mexico, New York, North Carolina, North Dakota, Ohio, Oregon, Rhode Island, South Dakota, Utah, Vermont, Virginia, and Wisconsin. Six (6) states and the District of Columbia do not maintain a do not call list and have not adopted the FTC list. These states are Delaware, Hawaii Iowa, Nebraska, South Carolina, Washington, and West Virginia. Nor do these eight jurisdictions have a mechanism for their citizens to report do not call list violations to state regulators. Thirty-Six (36) states had a do not call list by the time the Federal Trade Commission established the National Do Not Call List in 2003. See 2003 TCPA Order, Para. 12 (July 3, 2003). That number has steadily declined as states integrate their operations by adopting the National Do Not Call registry as their state’s registry. Today (September, 2017), only twelve (12) states still maintain their own do not call lists. These states are Colorado, Florida, Indiana, Louisiana, Massachusetts, Mississippi, Missouri, Oklahoma, Pennsylvania, Tennessee, Texas. and Wyoming. In many of these states, the state automatically add numbers soon after they are registered on the National Do Not Call List to their state do not call list but some do not so, if you live in one of these “dual list” states, it is best to register your number with both the FTC and your state so you have full protection of your do not call list rights. Residents in the thirty-two (32) states that have adopted the National Do Not Call List as their “state” list should register on the FTC’s National Do Not Call Registry and they receive any protections available under their states laws (if any). (These states appear in BLUE on the first map). Residents of the 7 states that do not have do not call laws, residents should register their telephone number on the National Do Not Call List in order to receive the protection of federal law. (These 7 states appear in GREY on the maps below). Residents of the 12 states that still maintain a state do not call list should register with the National Do Not Call List AND their state’s do not call list. (These “dual-list” states appear in GREEN on the maps below). In the dual list states, if a resident registers their residential telephone number in the National Do Not Call List but not their state’s list, the state may or may not automatically add the number to their list. Some of the dual list states periodically update their state list by downloading the federal list and merging it with their state’s list, but some states don’t. Residents of dual list states can click on their state in the first map for more information about their state’s procedures for maintaining their do not call list. To register on the National Do Not Call List, click on the big blue button and follow the FTC’s instructions. Residents of the “Dual List” states should also register their number on their state’s do not call list. By clicking on the GREEN states on the first map below, you will be guided to your state regulator’s web page to add your name to the state do not call list. Like the National Do Not Call List, the state laws require that the telephone be a “residential” phone — a telephone for personal or family use (not a business number). To register for on a state’s do not call list – CLICK the map immediately above at least twice (up to three times depending upon your device and operating system). The first click on a state’s map will cause the map to display a large map of the state. The second (or third) click will direct to a webpage to register on the state’s do not call list. WHAT ADDITIONAL PROTECTIONS DOES REGISTERING ON A STATE DO NOT CALL LIST PROVIDE? The National Do Not Call List applies to residents of all fifty (50) states and the District of Columbia and the federal laws establish the minimum standards. The legislation that enabled the FTC and the FCC to establish the National Do Not Call List did not repeal or preempt state laws. If a caller violates a residential telephone user’s rights under the National Do Not Call List by calling twice during a 365 day period, the called party can sue the caller for violating the telephone subscriber’s do not call rights. The TCPA provides that : (1) residential telephone users can sue the caller for the second second call which violated the National Do Not Call List; and (2) if the telephone user prevails, he or she is entitled to an award of up to $ 500 per call and, if the telephone user proves the violation was willful, the court may award an additional amount up to $ 1,000.00. What additional protections, if any, does registering on a state do not call list provide. In other words, can I sue for violations of my state’s do not call list and, if so, could I receive statutory damages like I could under the TCPA? The answer is — except in six states — the state do not call laws do not add much to the called party’s rights. The most important right under any civil statute is a “private right of action” — the right of a person who received the telemarketing calls to sue the caller for violating their state’s do not call law. Unfortunately, very few state’s do not call laws provide for a private right of action. In all except six (6) of the forty-four (44) states that have a do not call law, the state’s law do not call law does not provide for a private right of action and, equally important, allow the phone user to receive statutory damages. Several other states nominally allow a private right of action for a do not call law violation but, usually, those state laws require actual damages or facts which constitute fraud in the sale of the goods. Residents of Massachusetts and Colorado can bring a private lawsuit for actual damages. In Massachusetts, residents must first send a Massachusetts 30 day demand letter but may be entitled to an injunction against the caller and reasonable attorney’s fees. Colorado’s Unfair Practices Act allows residents to recover up to three times their actual damages and an injunction. Additionally, Kansas’s and Maine’s do not call statutes define do not call violations as unfair trade practices but both states require private plaintiffs to prove actual damages in order to receive monetary relief but allow for injunctive relief. Maine’s Unfair Trade Practices Act also provides that prevailing consumers are entitled to receive reasonable attorneys’ fees. In some other states, such as Ohio, telemarketing calls which violate the state’s do not call list probably also violated a state telemarketing law which allows a private right of action. So, consumers who are interested in bringing such cases are urged to consult with an attorney who is licensed to practice law in their jurisdiction and who routinely represents consumers. In most of the thirty-eight (38) states which have do not call laws but do not allow private parties to be awarded statutory (such as Florida), the public must rely on the state’s regulatory authority to investigate and pursue the case. The appropriate state regulatory authority is usually the state’s attorney general but some states have authorized their public utilities commission or even their secretary of agriculture to process citizens’ do not call list complaints. The state regulatory authority may or may not file a lawsuit but any lawsuit the states (or the FTC) files an action it is seek fines to be paid to the government. Connecticut General Statutes, Sec. 42-288c. This statutory mechanism is similar to, but different from in its application, the qui tam provisions of the Federal False Claims Act and similar state false claims acts which the United States and many states have used with great effect in detecting, deterring and prosecuting fraud against government programs. Even in Connecticut, the monies recovered are not paid out pro rata to the people whose rights were violated and, as a qui tam-like statute, the “bounty” could be paid to an employee who observed and documented their employer’s illegal telemarketing practices. To the best of my knowledge, Connecticut’s “bounty” system is unique in do not call legislation. Twenty-two (22) of the thirty-two (32) states that adopted the National Do Not Call List as their state list invite their residents to report violations of the National Do Not Call List to their state regulators. Some of the states that do not have a reporting mechanism (such as New York) explain that they routinely obtain copies of their citizens’ complaints to the Federal Trade Commission. CAN I BRING A PRIVATE LAWSUIT RATHER THAN MERELY REPORT A DO NOT CALL LIST VIOLATION TO FEDERAL OR STATE REGULATORS? None of the agencies that enforce do not call list violations (the FTC, FCC, or state attorney generals and other state agencies) will represent you in court or even recover money on your behalf. The monies that the federal and state governments recover from Do Not Call List cases are paid to their government’s treasury — not to the telephone users. The economic feasibility of bringing a private lawsuit often turns on whether a person is receiving the calls on their cell phone or a residential landline. Cell phones (personal and business lines) are much better protected by the TCPA. If you are receiving unwelcome calls on your cell phone, you should learn about how the TCPA prohibitions against robo-calls (calls made using an Automated Telephone Dialing System and/or using a prerecorded or artificial voice) and text messages. Each robo-call (call, voice message, or text) to a cell phone could be worth $ 500 and even up to $ 1,500 per call if the caller willfully violated the TCPA. The TCPA’s cell phone protections are not limited to “telephone solicitation” calls and, unlike the National Do Not Call List and most state do not call laws, the caller does not get one free bite at the apple each year. The statutory damages (the $ 500 to $ 1,500 payable to the cell phone owner) are often substantial. Some callers set their automated dialing machines to call people a couple of times a day. The seven states without do not call laws have not appointed a regulatory agency to accept their residents’ complaints of do not call list violations. These states appear in GREY in the map below. The twelve (12) dual list states (i.e., states that maintain a state do not call list) have agencies that accept and process do not call complaints from their residents. These states appear in GREEN in the map below. The thirty-two (32) states that have adopted the national do not call list as their “state do not call list” have taken two different approaches. Twenty-two (22) of the thirty-two (32) states that have adopted the National Do Not Call List encourage residents to report do not call list violations to their state authorities in addition to the FTC. These states appear in RED in the map below. Residents of these 22 states should also file a complaint with the FTC. However, nine (9) of the thirty-two (32) states that adopted the National Do Not Call List as their state do not call list do not offer a mechanism for residents to report do not call list violations to their state officials. These states appear in BLUE in the map below. Residents of these 9 states should file their complaint with the FTC. No matter which state you live in, if you wish for regulators to investigate the caller who you believe violated your rights under the Do Not Call List, you should report the violation to the FTC. For a link to the FTC’s webpage for people to report Do Not Call List violations, click the big blue button immediately below. People who live in the states shown in GREEN and/or RED who wish for a government agency to investigate a do not call list violation should also report the do not call list violations to their state regulators. To report violations of state do not call lists in “GREEN” or “RED” states – CLICK the map immediately above at least twice (up to three times depending upon your device and operating system). The first click on a state’s map will cause the map to display a large map of the state. The second (or third) click will direct to a webpage where residents can report violations of their state’s do not call list. Thank you for visiting this webpage. I appreciate any comments or information about your state’s do not call laws including the application of your state’s telemarketing laws to situations where the person who receives the calls may be entitled to bring a private lawsuit to recover statutory damages. I also appreciate news about changes in a state’s do not call list. Finally, many state authorities are not maintaining their websites well which leads to broken links — please inform me so that I can maintain this article as an up to date resource. So, please read and feel free to contact me with updates concerning your state’s do not call laws. Thank you!